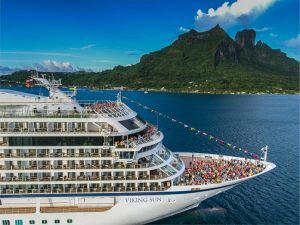 Viking today announced its new 2020-2021 Viking World Cruise, which will span 161 days, six continents and 75 ports, with overnight stays in 13 cities. 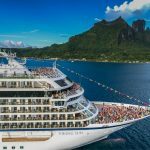 Setting sail on December 14, 2020 from Miami, the itinerary will include six new ports of call for Viking, including Honolulu and Nawiliwili, marking the company’s inaugural visit to the Hawaiian Islands. Sailing on Viking’s award-winning 930-guest all-veranda Viking Sun, this grand voyage will allow guests to explore islands of the Caribbean and the South Pacific; call upon ports in Asia, from Hong Kong to Bangkok; explore countries of the Middle East, including Oman, Jordan, Egypt and Israel; and sail through the Mediterranean before concluding in London. Guests can also choose a shorter, 140-day segment of the sailing, 2021 Viking World Discoveries, which departs from Los Angeles in January 4, 2021, and visits 27 countries and 66 ports. Pricing for the 2020-2021 Viking World Cruise starts at $85,995 per person and 2021 Viking World Discoveries starts at $75,995 per person, based on double-occupancy. Both of Viking’s new world cruise itineraries include Business Class international air, transfers to and from the ship, all gratuities and service fees, complimentary visa services, the Silver Spirits Beverage Package, and free luggage shipping services for embarkation. Guests who book between now and February 28, 2019 will receive an additional $2,000 USD per person in shore excursion credit for any optional land programs and $1,000 USD per person in shipboard credit which can be used toward optional tours, spa services, onboard shops and beverages. 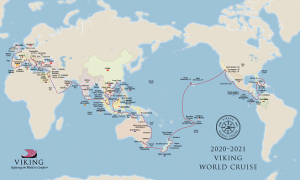 Viking Explorer Society members who book the 2020-2021 Viking World Cruise or 2021 Viking World Discoveries through February 28, 2019 will receive an additional $1,000 USD in shipboard credit per person. Call Viking on 138 747 (AU) or 0800 447 913 (NZ) or visit vikingcruises.com.au for more information.